Aragon is the convergence of art and engineering executed with elegant simplicity. Aragon components are characterized by extreme performance, authentic reproduction, reliable construction, intuitive operation, and are USA-made. 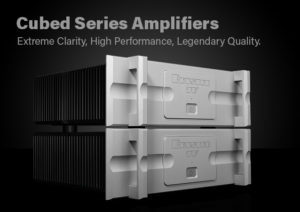 Aragon’s 2-channel listening and home cinema amplification applications have received international acclaim as the highest quality and finest experience attainable in performance audio. From the purity and power of the sound to the feel of the sculpted aluminum chassis, the Aragon experience is unforgettable. CATS is a unique acoustical treatment system designed to offer the maximum performance with the minimum loss of space across all frequencies. Whilst many solutions already existed on the market none of them successfully combined the required levels of performance with the need to minimise the loss of valuable wall space. There is nothing like the moment when the overheads dim and brilliant images come to life on a screen before you and your loved ones…awash in light, music and sound…all in a beautiful, comfortable personal space in your own home. Torus Power isolation transformers dramatically improve the performance of all audio and video systems. Connect audio equipment to a Torus Power isolation transformer and it comes alive – with more dynamics, improved imaging, and cleaner, enhanced bass. Video is crisper, with darker blacks, and brighter colours. Vutec has been paving the way for innovation in the design and manufacturing of front and rear projection screens, masking systems, aesthetic enhancement products, and AV presentation tools for 32 years. The company’s state-of-the-art product line has evolved to satisfy the ever-changing demands of video enthusiasts and audio/video dealers worldwide. As the global leader in video projection screen technology, Vutec holds numerous patents on a variety of products, including the revolutionary SilverStar screen. The company brands include Vision X™, ArtScreen™ and Vutec™ projection screens. Experience ground breaking product innovations of the more than one hundred products Vutec manufactures. Acurus is a premium brand for immersive home cinema installs and distributed audio applications. The superior engineering in Acurus processors, pre-amplifiers, and amplifiers are characterized by high performance, modern aesthetics, rock-solid design and construction, intuitive operation, and USA-made. Having earned multiple awards and reviewer accolades Acurus has achieved an ideal intersection of price and performance in their world-renowned authentic audio products. Details. They make a beautiful home exquisite, so every experience becomes that little more special. They are also how Barco Residential and our partners turn audiovisual equipment into exceptional video experiences for you, your family and guests. In the most superb homes and outstanding yachts. If you’re a true audiophile who treasures the finest in audio entertainment – someone who wants to be closer to the original event than ever before possible – the Clarus Collection of audiophile-quality cables from Clarus Sound promises to immerse you in the ultimate listening experience. Martin Logan is a growing company with aninternationally recognized brand name. They manufacture speakers of superior design and technology for smart customers who value the best speakers on the planet. Wisdom Audio provides high-performance entertainment solutions with a focus on technology and design. 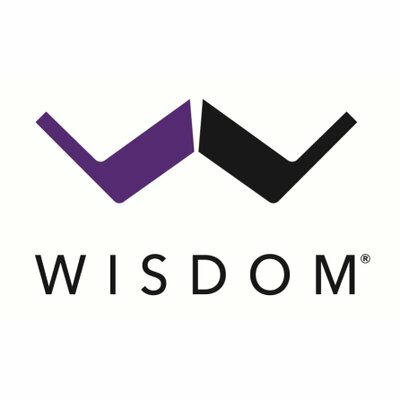 Founded in 1996, Wisdom Audio is privileged to work with leading custom integrators, architects, interior designers and engineers from around the world on some of the most challenging and beautiful homes and super yachts across the globe to deliver a truly unforgettable entertainment experience to clients. Atlona offers a complete portfolio of innovative audio/video connectivity products that serve a broad range of residential and commercial applications, from multi-room AV distribution and custom home theaters to digital signage, education, hospitality, healthcare, broadcast and more. Atlona also creates solutions to meet the unique and specialized AV needs of government agencies. Whether you’re a system designer, consultant, integrator or installer, contact our sales and design services team to learn how Atlona products and services can be optimized to meet your integration and installation needs. In the mid ’70s Ray Kimber worked at a sound and lighting company in Los Angeles. The first big discotheques were being installed at that time. Traditionally sound and lighting systems were not installed right next to each other, nor did lighting systems ever have such an array of noise generating fixtures, such as strobes and other flashing and dimmable lights. HD over IPTM (HD/IP) from Just Add Power is the Ethernet network based HD video distribution system changing the way the world approaches HD Video Distribution projects of any size. Unencumbered by the fixed input /output (I/O) constraints of traditional HDMI Matrices, HD/IP instead creates a network of HDMI devices, scalable to any size, from 1x1, to 4,000x65,000 (& everything in between). Copyright 2016 Momentum Sales LLC.